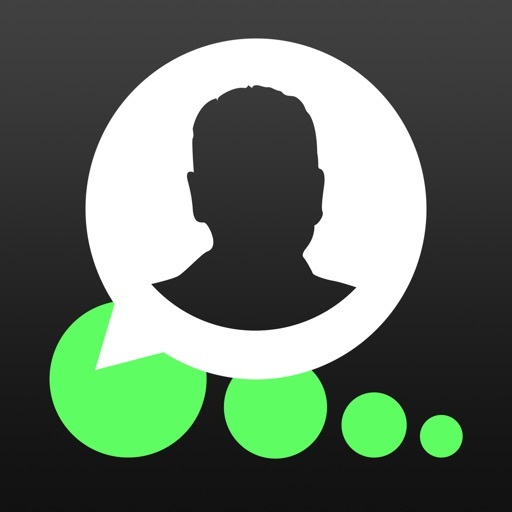 Starting your chats was never as fast! 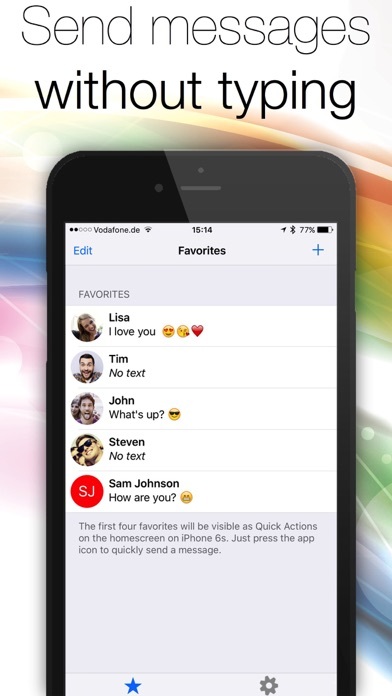 Start chatting right from your Homescreen! 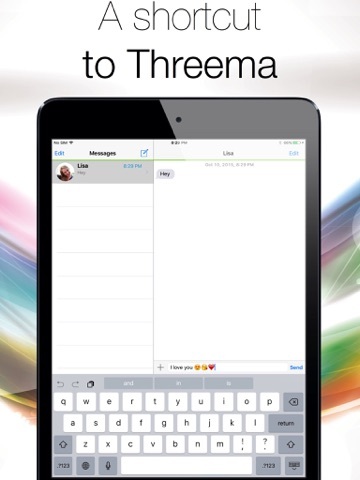 Quick Actions for Threena makes it easy to quickly send Threema messages and start chatting. 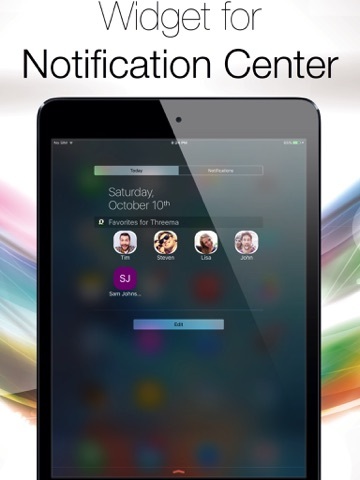 See all of your favorites in the Notification Center at a glance. Try out 3D Touch on your new iPhone 6s! 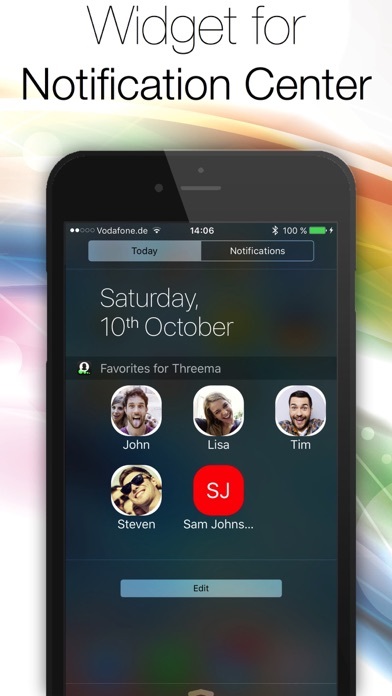 Send Threema messages with one touch directly from your homescreen. Are you too lazy to type „What’s up?“ or „I love you <3“ for the umpteenth time? 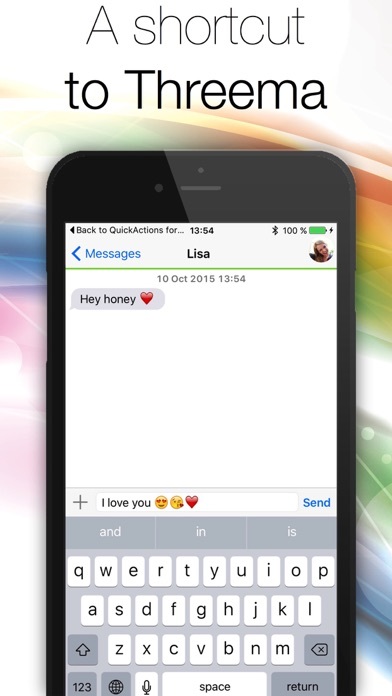 With this widget you are able to save your most frequently used text messages for quick access. In those days mobile phones had a physical keyboard. In these days they have none. Why? Typing looses importance everyday. 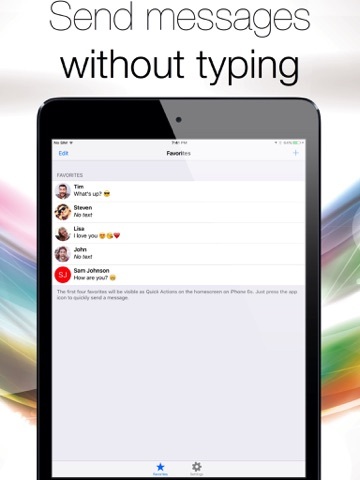 With this app you will be able to go without any typing. 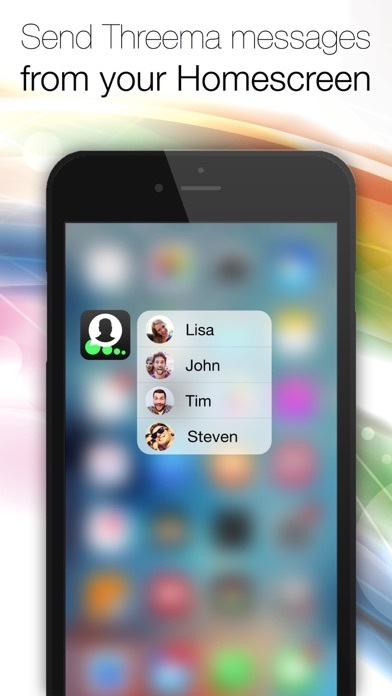 You can now send your messages with one swipe. Live the future. Forget the now!